Do you want a career in the fitness industry? Then we want to hear from you! We offer 12 month apprenticeships courses for budding fitness enthusiasts, which include gym instruction, recreation assistant training, reception training and lifeguarding and swim instruction. 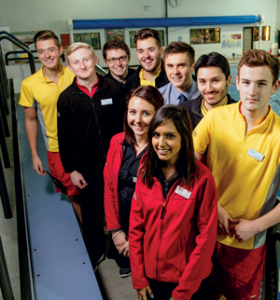 Our apprentices will earn while they learn during their 12 month contract with Everyone Active.